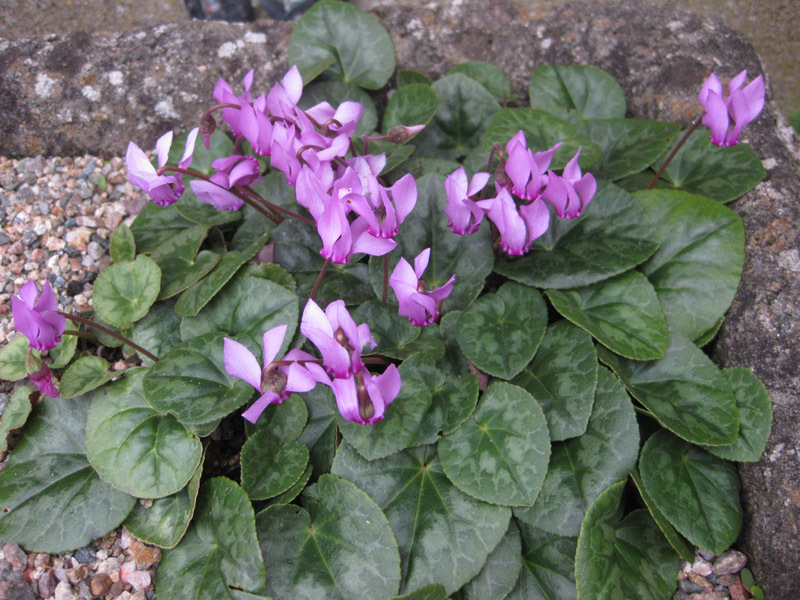 Cyclamen purpurescens grows farther north than any other species of cyclamen so there is no doubt as to its hardiness. It has virtually evergreen leaves over the year – the new flowers starting in August to come through the old leaves before dying. It seems to be shy of flowering in some gardens but if it finds a place it likes it does well – a shady cool spot seems to suit it. I grow it in a sink that only gets sun in the late afternoon. It resents too much heat and that probably explains why it may do better in Northern Ireland than in southern England. It also resents being moved around so plant it straight from the pot where you want it to go. 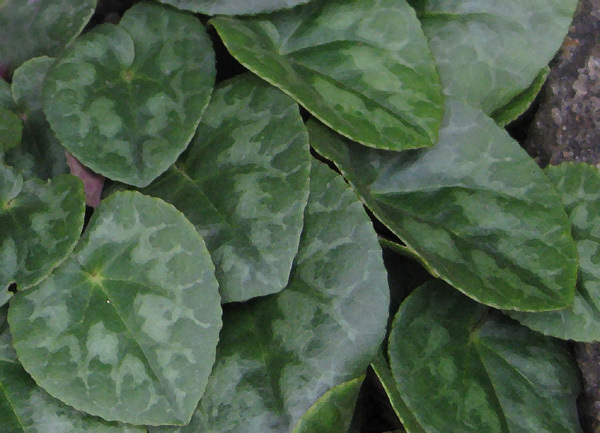 The leaves are often plain, but this is variable and there are some which have pewter markings. 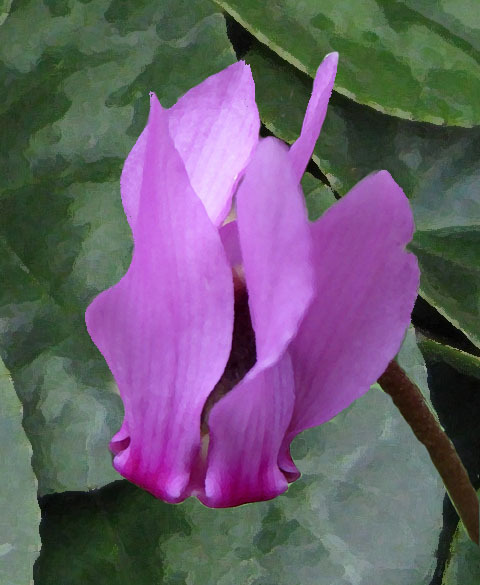 They are however very different from the more commonly grown Cyclamen hederifolium, being rounded to heart-shaped. Apparently the presence or absence of auricles (or ears) on the flower is variable but rarely is it as pronounced as in C. hederifolium. The plant depicted was grown from seed and has flowered well every year, setting seed and growing vigorously – it now covers about one third of the sink.